2. Saute onion, mushrooms, tomatoes, spinach and seasonings until onions are translucent. 3. 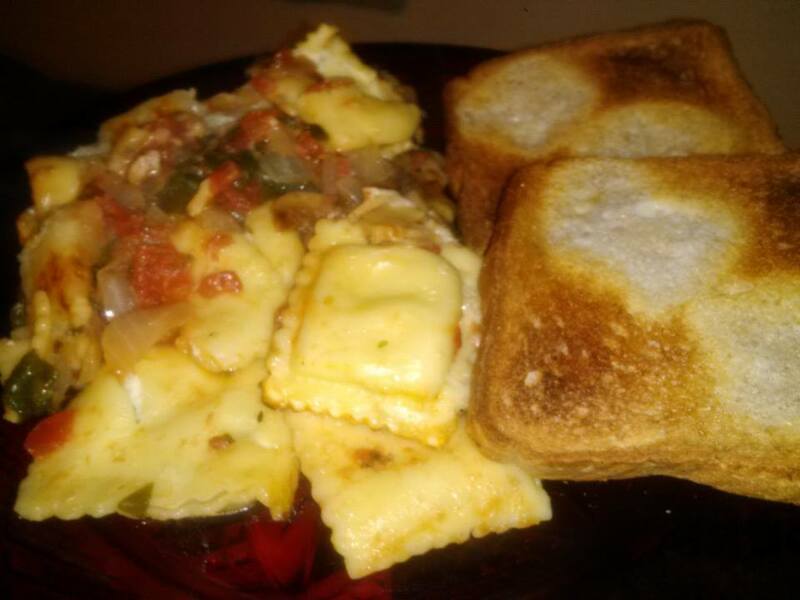 Mix cooked ravioli and vegetables and pour into a 9 x 12 pan. 5. Baked covered for 25 minutes. 6. 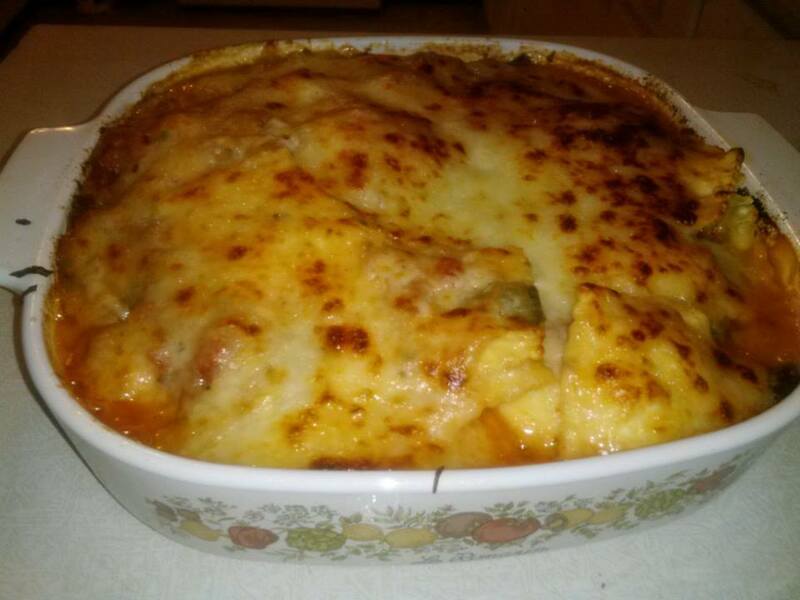 Broil uncovered for 2 minutes or until cheese starts to brown. An easy strawberry and blueberry dessert recipe with raspberry sherbet and a yogurt or whipped cream topping. A red white and blue dessert recipe, perfect for the 4th of July. Wash berries; hull and slice strawberries. Toss berries with a little sugar, if desired. In a dessert dish, brandy snifter, or other glass, put a scoop of sherbet. 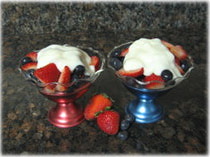 Spoon strawberries and blueberries over the sherbet, then top with a few tablespoons of yogurt or whipped topping. Repeat to make 4 to 6 servings. An easy and beautiful dessert for the 4th or any summer get-together.